We ran a competition on "the best comment" on this particular blogpost. We got tremendous response! The top 5 contributors (alphabetically) were: Bhupendra, Gaurav, Kapil, Swatee and Vikrant. And the best among these was the comment by Bhupendra. Congratulations Bhupendra for winning! Now send me an email (to sm@ptuniverse.com) with your full contact details, and let us start the process of getting your dna analysed by NatGeo people! Other noteworthy contributors were: Akash, Chetan, Nidhi, Prasad, Rishikesh, and Shashank. Thanks to everyone for participating. Special mention : Kapil (Joshi) - very good suggestions regarding blog layout. Ideally we would like to implement all three, but we are facing some technical issues doing that. Can we have your contact mobile number, so my technical guy can speak with you, incase you can help? Once in several years, we come across a story that stirs the soul. That makes us sit up and take note, and wonder - oh my God! So this is how it is! I share one such story with you now. It has made me wonder since it began (a few years ago), and since I practically participated in it (by getting my dna analysed). Suppose I were to probe your ancestry. I begin with a simple question - do you know who your parents are? The answer will be most likely 'Yes'. Then my next question - do you know where (which city/town) did they come from? The answer will be known to you. Modern written histroy cannot go beyond 6000 years. Anything beyond that is a dark area where we never venture. Mankind's deeply held secrets lie there, waiting to be unearthed. That's "deep ancestry" - the story of your ancestors when no formal record-keeping happened. Time so remote in the past that the sands of eternity have obscured everything from us. Good news! It is possible for you to discover your deep ancestry - who were your ancestors tens of thousands of years ago (broadly speaking), and where were they located**. You find that exciting, right? The National Geographic team started a project (alongwith IBM) about 5 years ago which attempted to re-created the lost threads of the greatest story ever told! This is the Genographic project, that relies on original dna samples collected from volunteers around the world (through a harmless cheek swab, I did one for myself), and then analysing it, and plotting the results on the grand jigsaw puzzle that scientists are fitting tight. Today, we take the colonisation of the entire planet for granted. We know man has populated every possible geography. But who are we actually? Where do we "really" come from? Who were our first set of parents/ancestors? What were they like? Are we all related? Where did modern man really originate? How did we spread across the world? What routes were taken by our ancestors? These are maybe the most profound questions you will ever ask. Fortunately, it is possible to reconstruct this story, and as scientists have gone about doing that, they have discovered how dangerously precarious this journey of modern man was - we could have vanished at any point in time of this journey (at one point, the entire population of mankind was reduced to just 2000!). This story tells us how amazingly hard-skinned and versatile we humans truly have proved to be. Scientific DNA studies suggest that all humans alive today descended from a group of African ancestors who took the modern form around 200,000 years ago, and who - about 60,000 years ago - began a remarkable journey. A journey of migration in various directions, starting from the heart of the African continent. You and me are the end point of that journey. All of us alive today - 6,50,00,00,000 of us - are end products of this great journey that a few hundred (or a few thousand) began. So that makes all of us relatives. All men alive today exhibit the same Y chromosome related genetic marker - proving they have descended from the same primordial "scientific Adam"
Mankind of today is like a very old tree - there are hundreds of branches but the central stem is the same for all! So keep wondering. These are things one must wonder about. Beautiful questions. * the first set of human beings who are actually our great-grand parents, that is, we belong to the line that has descended from them. ** Naturally, when we discuss deep ancestry, no one can ever tell you EXACTLY who was your great-grand parent (the one man or one woman, if you will) in a particular generation. Broad generalisations only are possible. Please be generous! We are talking of things that happened 30/40/50 thousand years ago! *** all this is far more complex that I understand. Refer the links given for actual technicalities. ^^ for more details, refer to https://genographic.nationalgeographic.com/genographic/index.html. I will sponsor the entire cost .. you do the dna sampling and posting etc. You get the results directly. And by the way, I will be the judge of the "best" comment received before 30.09.2009 runs out. No questions or doubts to be entertained. Thanks for participating. I was really amazed to know the fact that we (Indian) are descended from a group of African ancestors. Thank you sir for sharing such a conceptual history of human. Hi Sir, very thought provoking inisights. This has always been a trait of human beings to try and uncover as many secrets of the world around. It is even more exciting because it leads us to the roots of our existence. It might be that one day we will exactly know of who our ancestors were. This also shows us how humans found themselves lucky enough to survive and reach upto a point where they are standing today. But will this time nature again or mankind itself will be responsible for the changes ahead? This blog was a brainstorming experience. It actually created lot many questions in my mind, but the most sought after question was of my own existence, as a matter of realization I don't even know my ancestry beyond my great grand parents, So the curiosity has formulated in my mind to explore deeper and know more about my ancestry. I would like to thank you Sir for sharing such a great insight which was full of learnings. This topic was very different. and lot of question raise in my mind. then after this topic was discussed to my grand father. we are knowing limited knowledge regarding our last 5 grand father and their father. and where they are previously staying which type of leaving of life style we dons't know. i would like to thank you Sir for sharing such a different insight which was full learnings and lot of brain storming. From last 21years i really not took my thought process that deep where u forced my mind to move after reading this blog. It really feels like a super magic how humanity diversified on the whole planet. Great point to make here is the way we are destroying our planet how our next generations will sustain. World has to give serious thought for this else we are going to be CHECK MATE soon. When we think about our religions then a fundamental question bother my mind that, was God been created for not knowing the answer of our ancestors? Now if it is possible by DNA test then may be some of our illusion regarding God can be answerable!!! I am glad and astonished after reading this mind blowing blog of your sir.I am really excited now to collect as much information about this project.This project is full of enigmas which still need to be unscrambled in front of the world.It going to be a milestone for our generation.Thank you sir for such information.I request you sir,please keep giving us such knowledge. Well if i look this DNA analysis from a different perspective then i think its going to help a lot of people. let me do the honor to explain you, as from the blog it is quiet clear that we are related to each other in one or the other way. If this could be explained to each and everybody else then half of the world's problem of Terrorism or people fighting for their religions and other problems in which one person doesn't even think for a second to kill another. Not going world wide if even Hindus and Muslims( sorry for specific religions)in India will understand that they all are from the same originator then no doubt India could become the best place in this world. The only thing is that the people should be made aware of this great fact and doing this is itself a great task no doubt in this. But doing difficult task differently is all what makes a difference. Thanks for sharing exciting information with us, but sir don't you think so, in this way we can add value towards our society and can remove myth's which have no evidence. i think this information can be a tool for society empowerment. Thank You for sharing such a nice post with us.I do keep wondering about who were my ancestors. Sir, I have a doubt in the paragraph "The National Geographic team started..."it says "which attempted to RE-CREATED". Can you please elaborate on sentence formation as in my view it should be "which attempted to re-create". I think that this kind of project should be known to masses so as to gain maximum benefit out of it. As people are always interested in knowing about their future so that they can have some insight regarding their good or bad times, I'm sure they would be interested in knowing about their ancestral hierarchy as well. But according to the data available on the Internet, that as of April 2009 only 300,000 people have bought the genographic kit from across various continents, which is not a very impressive number. This clearly shows that the potential benefits of this project have not been analyzed completely and due to this it faced criticism as well initially. One needs to acknowledge the fact that if we all share the same African root and our ancestors migrated to various places in due course of time, this indicates that we all are related to each other and that leaves NO SPACE FOR HATRED or the supremacy of one (nation or individual) over the other. And if this very basic truth is duly accepted by all, then various imminent crises(terrorism to top all) that haunt us can be avoided or tackled through collective efforts. Because if an individual living in Europe(or any other continent)comes to know that his ancestors are from Africa or Asia,or vice versa, then one can expect a shift in his thinking pattern towards other continents and slowly this pattern will rise up to higher levels i.e. at the country levels, which will consequently make a shift in their working strategies towards their own country and others as well. The need of the hour is to educate people regarding this initiative and more importantly make it within the reach of common man along-with the necessary motivation for voluntary participation. This is the question which either fascinates us or either creates panic in the mind of someone. The mystery of human evolution is very amazing, that how it has passed from different era to convert into the modern human being. "Origin of life " is one of my favourite topic during my school & college, whenever we study evolution, the theories are so amazing some biologist says "life originates from non living things like mud, wheat, clothes" and some talk about the theory of special creation "that the great almighty made this world in a couple of days" but with passing time we come to know how earth is evolve and how human being is evolved. The journey from most primitive man to modern human being i.e. Homo sapiens sapiens is very interesting that how it has passed from different hurdles and adverse conditions but finally adapt to survive at last. In one of our LTS (GK atlas) at DAVV auditorium, you have shown us this whole tree and that was really great. It starts from Africa and than from covering different part of world it reached India. Now the predictions are made for the man of the future, "Homo sapiens futuralis" according to Dr. Sapiro ,American anthropologist. we are thinking for man of future how it will be, this is also one of the interesting question. The things which helped us to adapt and grow as we discussed during economist session i.e. Luck was the main driving force and still it is that may take us further ahead in future. But the question remain as it is, Where do we come from ? It not matters what but why we r born!! where we came from, who are we, why are we? The same question troubled our great rishis for a long time and then they deduced, after long term hard efforts, the secrets of life. Same is modern man doing. We have refined our techniques but destiny is same. Path is different goal is same- to know where we come from. It is sheer curiosity which prompts us to put together such efforts which are of course appreciating. Knowledge (dnyan) resurfaces after many years of sleep in varied forms says Shree Shree Ravishankar. Finally it not matters how we do it but what we have acheived from it. These efforts of us might help to reveal some more wondering facts about genealogy and the life of our ancestors with sufficient proofs. It is our choices that matters and for us the choice which leads us to our answer in a short time should be the selection. Great efforts and sincere participation is making this project a great success. And still if we do not get satisfied(which is extremely rare case) we can, i m afraid, will have to go by the rishis way- dhyan yog. It is said that when we are connected with the Paramatma(after successfulley activating our kundalis) we can travel through future as well as present with the speed of light. Amazing but time consuming and hard going. So let's start a research for common people which will simplify our research whith rigourous efforts. I gladly appreciates Sir's enthusiasm in such topics which fascinates me also and the sincere paricipation of him which proved that he is a middle asian. The cost of participation should be reduced to encourage maximum participation. In the end,we already know vasudaiva kutumbakam. This research will merely help to find the roots of our family. To find where and to whom were we born!! Cheers!!! Hi everyone - thanks for writing in such beautiful comments. Also thanks for participating so vigorously in this "comments competition". Even if you did not intend to, if you have written well, you just might win the free dna analysis! Deadline is Wednesday midnight. Happy Dusshera to one and all! Thank you very much for your thrilling as well as an eye opening message. I pray to god that every human being should read and understand that we are not enemy, "we are ONE". it was nice to think about ancestry, who were our ancestor? how could they survive? luck played big roll as said by you, but i have slightly different point, We (human being) could survive because we were most fit(physically and mentally) from that point of time to till now, called "survival of fittest" as given by Darwin. Jaaao pehlay os adami ka sign lay kar aao jismanay mere haath par yeh Likh diya tha .. Yes characteristics, deeds of our father and forefather have been always been a matter of Pride or Shame..
and let us have associated with some so called royal clan.We refused though to have our time and money wasted in any such thing. "Blue Blood..Iam ...am I ?" specially at the time of marriage..
JK Rowling ?? Do you have any answers..?? Some people ran from there past .. reasons may be any. Hiding there race,parents, grandparents. Imagine what a public genographic tree would do to there hiding/faking efforts. It raises chances of inbreeding. Is this responsible for some of our eccentricities and evil behaviour??? ethnicities,beliefs,ethos,morals,good,bads,GODS DEMONS.Yet despite of the diversity the tree reminds me that..
we all have same roots same blood ... We all are Humans. Thank You for sharing such an interesting post. I want to share one of conversations I had with my grandfather when I was in 9th standard. I used to asked them about their father, forefather and forefather and so on. At that time I really didn't know the concept of ancestors but now I realize all my thoughts had some connections with that. My grandfather answered me till 4-5 trees. Today I am really get excited to share this post with my grandfather why I am so anxious about ancestors at that time. And about this national geographic project I just want to tell you sir that they are spending crores of rupees to find out the real picture of ancestry with the help of our D.N.A. "Why should I participate in the Genographic project ?" which states ,"The central stem is the same for all!" Firstly, I think that is why intelligent people advance in their life out of creativity not out of competition because they know that our root is same and we must not violate right of others. They achieve success which is lasting. Secondly, They infer that if one man can do it then every man can do it. Thank you once again, Sir!!!! Thanks for such a thought provoking blog. Though on different lines from what has been discussed above, the blog has provoked some thought in my mind. "Do you know your first ancestors ?" The first thought the stikes me after reading this question is why should one be bothered about it. On practical grounds, one would like to know his/her ancestry so as to find a link to some famous (or infamous) personality in history. If his/her ancestors aren't famous (talking about deep ancestry that is more than 600-700 years or milleniums), one might not care to know who they were. To support to this, if we recall, a tv series called "suno kahani" was being broadcast on DD National, episodes of which, were adaptations of short stories of many Indian writers. One of them was "ved vyas ke pote"
in which the central character travels to haridwar for some cause unwillingly but there he gets to find the evidences of the visits of his ancestors to that place(the dharmshala) and he finds that he is a descendant of Maharishi Ved Vyas. He looked through various records on paper and even on tree leaves (which were maintained by the pandits there) because he had a hope that he might be related to some famous or known person from the history. Even if we google the word descendant, then there would already be previous searches listing a lot of famous personalities. Rama, Ravana, Genghis Khan, Jesus, or Shivaji to list a few. What I want to convey by this is, knowing about some "Adam XXV"
through various stages led to our existence doesn't really make sense, atleast not to me, and to several indivduals like me. Having read a lot on this issue and also Watson's classic DNA I tend to wax philosophical!! All philosophers, especially Indian, would urge one to look at the cosmos and realize that we are in fact a part of the same universe hence connected to each individual in some sense or other. Hence to me, rather than the genealogy, which is no doubt fascinating, the more important question is why do human beings then want to fight each other. we are part of the same fraternity and each one of us resonates in the other in some way. if we are able to discover this fact there would only be love. easier said than done.rather than wondering why the human race behaves in a particular manner the question to ask is "am i capable of universal love" and " am i capable of loving each and every human being equally" . it sounds impossible but "evovled people" have done it. Knowing that all of us have the same background, should make the world a better place to live in! thanks for this wonderful info you shared with us. Thank you for your amazing post. Well, I know about my 15 generation ancestors and not more than that. Actually, we had a GK lecture of yours when I was in PT last year about it and according to it, your origin is also from "Africa". Well Sir, I must be wondering, if the origin of a person is from "Africa" then it must be true that the "great apes" which are considered to be the closest relatives of human beings due to morphological and anatomical similarities must also have origin from "Africa". This is all from my side about commenting. This marks the end of Global Economic Crisis, Region and Religion Intolerance and our March towards being a real Human being. Now what remains building The Genographic Project as a brand so that our worthy fellows can understand that all this years of their life they have spent in spreading hatred against their own sibling and their Caste & Color is the choice his Great grand father made (A common Grand father!). So now is the time to make BHULA DO BHULA DO WOH BAATEIN PURANI JO DIL KO JALAT TI RAHI.. as the Global Song by United Nations. Taking a pledge over this song at the next Global Summit can be the Perfect Start. I have been following your blog posts for sometime now and have learnt quiet a bit from your blog roll. Your blogs certainly are very informative and worth reading. Thanks for introducing me to the Genographic Project of Nat Geo. In the competition declaration paragraph (Highlighted in yellow), you mentioned the best comment on “this Blog” shall win and stopped short of mentioning specific reference to “this Blog post”. This means that comments not only on this specific “Blog Post” of yours (about the Genographic project) but on your Blog in general are eligible! 1. I noticed you use a lot of footnotes and references while blogging. It would be helpful for the reader if you can create a link to the footnotes at the point of referencing itself, which immediately displays the footnote when the reader hovers the mouse over the reference pointer. Similar to the way it happens in the Bing search engine results. This way, the reader won’t have to move down and up to read the footnotes and blog respectively. It would help maintain the continuity and make the blog better readable. 2. There are lots of gray empty spaces especially on the right side of your blog roll, which increases the length of the blog post. This has two issues, one, it just wastes lots of horizontal space which can be better used for presenting blog content and two, it forces the reader to unnecessarily scroll through post that much longer. As the readers’ attention span is mostly in seconds, the reader has to put in extra efforts for no extra benefit. 3. I think the blog navigation can be better streamlined. Although, there is an archive section, it is neither visible when I am accessing the post through perma link, nor does the archive allow me to perform a search. When I am reading an old blog post, I can only see the title of some of your even older blog posts but I can’t see the blog posts you did after that date. I am also unable to see the date on which you posted the blog. I suggest adding a Calendar wherein each post can be chronologically accessed, so that moving back and forth on the blog is seamless. The content of your blog is of very high quality and needless to say makes for an excellent reading any which way. There are a number of wonderful things on your blog that are obviously of professional quality and therefore I don't need to repeat the obvious. I just wanted to share my thoughts so that the blog can be presented in a way that is easier and faster to read for countless other readers of this blog of yours. The Genographic Project – An attempt for pursuit of a better world!?! Once in a while we get across something so mesmerizing; it gets us in its iron-clad grip. Indeed the sound of the whole theme of The Genographic Project is captivating and must have resonated with many. I could feel the goosebumps while going through your article. However, once I got over the astonishment, I found myself getting lesser & lesser inclined towards it. Here’s something I could not find any answers to -- WHAT BENEFIT DOES IT SERVE !?! Scientists and Researchers must have invested huge amounts of both – Time & Money, which could have been deployed in some area capable to provide for the betterment of individuals around the world in a more substantial manner. Many years ago, our world witnessed a selfless investment of time & knowledge, in for the betterment of the people by Dr. Norman Borlaug. This world needs more people of the likes of Dr. Borlaug. People in the poor & developing countries have other issues to take care of in the present, than to wonder as to who their ancestors were; say, for example a poor farmer in India, has got a family to feed and loans to re-pay. The sums of money involved in a project of this technicality might have proved beneficial had it been utilized by investing in some Project which concerns the poverty-stricken nations at large – It could have saved thousands of people every year from committing suicide for not having enough money to re-pay for the loans, or die a slow agonizing death because of some incurable disease. Sir, with no disrespect, I would deem The Genographic Project unfitting in the present world order, which presents much greater and significant challenges to be met. 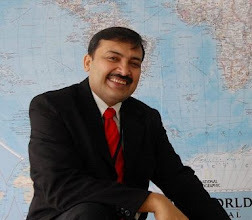 After reading your blog I was wondering that we study The Economist on day to day basis and constantly evolve intellectually to become a global professional,but after through intro-inspection I realized the fact that I am not aware of my deep rooted ancestors and I don’t know the history of my ancestors from whom I have evolved. This was an interface of my past with the future. I would like to thank you to enhance my knowledge. I enjoyed reading the post very much. This made me search about ancestors and I got some beautiful quotations related to ancestors. *The ancestor of every action is a thought. *If you look deeply into the palm of your hand, you will see your parents and all generations of your ancestors. All of them are alive in this moment. Each is present in your body. You are the continuation of each of these people. *I admire our ancestors, whoever they were. I think the first self-conscious person must have shaken in his boots. Because as he becomes self-conscious, he's no longer part of nature. He sees himself against nature. He looks at the vastness of the universe and it looks hostile. *Every man is his own ancestor, and every man is his own heir. He devises his own future, and he inherits his own past. I have never though of knowing about my ancestor but now want to know them really. i will surely ask my parents about this. Thanks for the valuable information about the Genographic Project. Homo Sapiens is a very young species. If Earth calendar started on January 1 and now we are in December 31, we got here just 15 minutes before the midnight and all the recorded History has blinked by in the last 60 seconds. Ever since we evolved in Africa, we randomely scattered all over planet, coalescing into groups, more powerful, larger and very much conditioned by two characteristics – opportunism and greed, we accelerated our disconnection and caused extensive damage to our climate and all other natural resources. Sir, this is the first thought and a grave concern that comes to me when I think about A Human Story – Our Incredible Journey. The Project is an amazing discovery by the mind – the human mind which had been the key to survival in those evolutionary days, a mind that has evolved to reflect back to ourselves, to take stock of our own existence, a mind capable to discover quantum Physics, explore outer space…and peer into our own DNA. It is the same mind that threw us out of balance with Nature, a mind that thrives on the cultural assumption that we are separated and are superior of all life forms and have dominion over everything, a mind with thinking disorder that we are separated from Nature and Nature is just an abundant resource, a property, a mind that doesn’t see beyond its stunning intellectual and technical advances, the large scale impact on our home, the Planet Earth and our attitude which is gravitated to selfishness. Ecological disasters are rarely covered. When they are, they are covered as isolated incidents. But if we connect these events, we will find a larger story that needs to be told. A Human Story. And more so than that, a global understanding that takes into account who we are, and the state of our relationship to this planet, our only home and the amazing web of life we have. We are at the Eleventh Hour. It is time to ACT NOW. I believe this should be the action of top priority and better investment of time and energy. We need to pay our debts to Planet Earth. If the project helps in gaining learning which are useful for the present and future on these lines, it should be placed on a very high pedestal. Thank you Sir for the time you gave to reading this comment! This is my first post and I really find it very difficult to comment. We all are very curious to find out our roots, from where we evolved and who our ancestors are? It is great to know that todays generation tree has its deep roots lying in Africa. Hope this Genographic Project will sort out the problem of racism and ethnicity.And in future all humans will show global patriotism. One more thing which comes in my mind while reading this blog is that, is this journey of humans heading towards its roots that is Africa? As in all other parts of Earth we are depleting the natural resources, the only hope lies in Africa which is still full of natural resources. Thanks everyone for the wonderful response. I will carefully screen the comments, and my post on Thursday will carry my observations and names of top 5 performers, and the one lucky topper who wins free dna analysis! Thank you for sharing such an interesting post.After reading this blog i am little bit confused about Genographic project. on the basis of their reserch they come to the conclusion that all human today desend from a group of Afria ancestors who-about 60,000 years ago began a remarkable journey.They spread all over the world over a long period of time. Now qestion is arrises in my mind that we all are indians,let assume that 5000 years ago a group of humans are come from Africa to India, then human race sarted in India. Then why we spend our money to know that where we come from, it is same for a particular area or region for every Indians. If they say exactly in which year your ascestors passes through which region(like 200,400,500 years),then it is really a good technology. When we first think or talk about the root of humans.. Generally one thinks.."Who cares?" But it is really a great deal to know about the ancestors of humans. If we know the genome or genetic structure and its special characteristics, we can deal greatly with any kind of disease (AIDS,Cancer, Swine flu.. yes any disease...)and can make more effective drugs with enhanced activity and lesser adverse effects. Evolution and exisistance of humans both are great mistries themselves... We can solve this mistry with the help of genetics and cellular microbiology.As the article was full of information and excitement,I thoroughly loved it. well, recently CCMB(centre for cellular microbiology) and Haward university research(appeared in Times of India -25th September,2009) suggested that all Indians are having one root only. And "Aryans"(north Indians) and "Dravidans"(south Indians) are two misconceptions or myths as per this studies.Present days Indians are mixture of North and South, with genomic strains from two distinct ancestors - The ancestral North Indian and Ancestral South Indian.and such studies can help to understand genomic structure of particular group of people and hence treatment of any disease can be made more effective. Now, it seems possible to know our earliest ancestors. Quite possible that we may not know the names and hometowns of our great grandparents but we will certainly know the earliest ancestors of humanity in near future due to such initiatives Genographic project by national geographic. I do love to congratulate you also as you have actively have participated in such global initiative. But as the whole, Cellular microbiology is the feild which can lead to our ultimate aim and can actually give the answer that whether there had been any "Adam" and "Eve" or it was all about step by step evolution of human. I always admire thinkers like you,what so ever the knowledge you acquired.But looking out for a journey towards searching about your ancestry which is a mystery,raised some questions in my mind.I am always thankful to you for enlighting me in a distinguished way. I always go through your blog and comments on them. They are always enlightening. The best thing about them is that they are on various areas. 1- Is our DNA based on only our father or mother’s DNA also plays a role in that? 2- If yes then the DNA of our forefather would differ a lot from us as it would change at each generation. 3- Also location of our parents would differ (suppose one of them belongs to Africa and other from Europe) than how can we predict about us, what about our forefathers than. 4- If it do not depend on our mother and is same throughout the generations than DNA of all the humans would be almost same (as per the Adam and Eve story). 1- The relation between India and Pakistan is always a hot topic while all of us know that they both belong to one nation ie. Hindustan. 2- Today intra communal fights have started, while they all know that they are one. 3- Even siblings fight (Ambani brothers), will they stop for their ancestors’. As the suggestions mentioned by the Kapil Joshi I would suggest Protons to use Google Reader for reading Blogs. It works similarly to the email and we can mark the blog as read or unread. No separate account is needed for that and can be operated from the common Google account only. We have to just add a subscription once for all three blog posts. The biggest drawback in Google Reader is we can’t read or write comment through that, but marking it as like or unlike, email, share with note etc. can be done. this is very beautiful topic,and useful any competitive exam. while reading i got a lot of Gk questions.